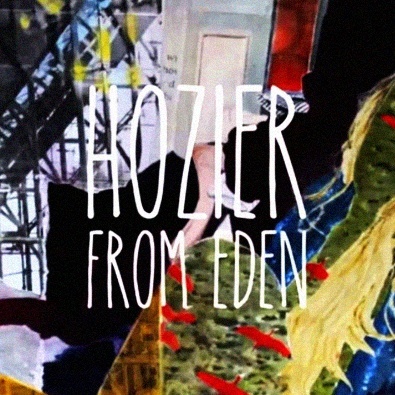 "From Eden" is a song written and performed by Irish musician Hozier. It was released as the second single from his debut studio album Hozier (2014). "From Eden" peaked at number two on the Irish Singles Chart and has also charted in Belgium. A From Eden EP was released digitally on 9 March 2014. Andrew Hozier-Byrne (b 1990), known professionally as Hozier, is an Irish musician, singer, and songwriter from County Wicklow. He had his international breakthrough after releasing his debut single "Take Me to Church", which has been certified multi-platinum in several countries, including the US, the UK, and Canada. I discovered this song while watching a clip from Grace and Frankie, an American comedy web television series. It's from season 4, episode 4, The Expiration Date: Grace has to deal with her newfound relationship with Nick, struggling with their age difference.